People from all walks of life become Freemasons for a variety of reasons. Some are attracted by the valuable work that the movement performs in raising money for charity. A proportion of these funds is used to assist Freemasons and their dependants in times of need, particularly the sick and the elderly, but the greater part goes to non Masonic charities - local, national and international. Freemasons also assist the community in more direct ways, such as carrying out voluntary work. Others become Freemasons because of the unique fellowship it provides. 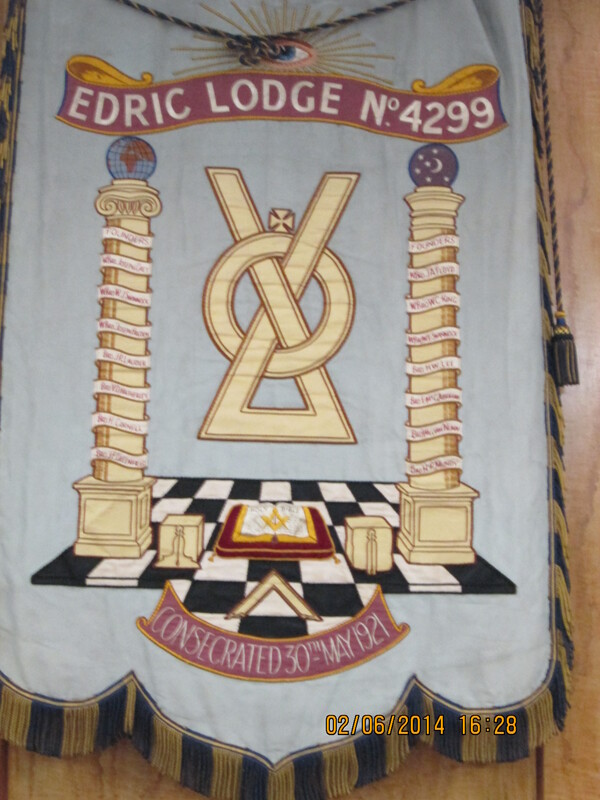 Visit a Masonic lodge anywhere in the country - or indeed, the world - and you are greeted as an old friend. Freemasonry is the ultimate leveller, a community where friendship and goodwill are paramount. It has been said that some people become Freemasons for personal benefit. This statement is true, but for the wrong reasons. The personal gain is in experiencing the warmth of an honourable society and being part of an organisation that works hard to help the less fortunate of the world. Freemasonry does ask its members to give as freely as they can to charity. How often have we told ourselves that we really should send money to help with some famine or other disaster we have seen on TV, only to forget all about it in the rush of everyday life? Freemasonry provides a structured channel for fund-raising from its members and reacts quickly when help is needed urgently, as in the case of the tsunami disaster. The handshakes are signs used within Masonic ceremonies. Certainly they can be used in everyday society, but to expect preferential treatment or some other sort of advantage from fellow Freemasons met in this way is both misguided and contrary to one of the basic principles of the organisation. Rather than spend your money on Masonic membership fees, you'd be better off buying a lottery ticket. If Freemasonry has nothing to hide, why the mystery? The 'mysteries' that are revealed to members as they progress are nothing more sinister than sound advice that helps them to lead a balanced life, for example through thinking about things like the welfare of others. Similarly, Masonic passwords are simply keys to the doors of the different levels within Freemasonry. Learning these principles on a step by step basis makes them easier to absorb and understand. Masonic ceremonies are like short morality plays in which members play different parts. Like any form of theatre, it demands the learning of words and the movements on stage. Through taking part in these ceremonies, Freemasons come to understand the truths that they contain. So do you need the acting skills of a West End star to become a Freemason? Certainly not. In the convivial atmosphere of a Masonic meeting, members soon learn to relax and enjoy taking part in something rather special. It's a place where everyone can be themselves and contribute in a way that suits their own personality. Many members actually find that learning and performing these rituals is a useful programme of self development. For those that want to do it, Freemasonry also provides the opportunity to practise after-dinner speaking with a totally friendly audience. Doesn't all this take up a great deal of one's time? The majority of lodges in the Province of Middlesex meet four times a year. The formal part of the proceedings (the ceremonies) usually start towards the end of the afternoon and are followed in the evening by a dinner and a few (hopefully short) speeches. Additionally there are weekly instruction meetings where members learn more about the principles of Freemasonry and to master the ritual performed in the ceremonies. Freemasons also gain great pleasure in visiting lodges other than their own, making new friends and seeing different traditions followed. While there are numerous opportunities to engage in Masonic pursuits, Freemasonry encourages its members to live well rounded lives and always stresses that one's family and personal affairs must always come first. In the interests of domestic harmony, people interested in becoming Freemasons are strongly recommended to bring their	wife / partner into the picture at the earliest possible stage. All of the Masonic Centres in the Province of Middlesex are happy to give guided tours to the general public. Visitors can see inside the Masonic temples where the ceremonies take place and we will be happy to answer any questions. There are also entertaining lectures, held inside a lodge or chapter rooms, for anyone interested in learning more about Freemasonry. These are usually followed by an informal dinner. What about the cost? Membership subscriptions compare favourably with everyday sports and social clubs. Freemasonry is not a rich man's hobby but an affordable and rewarding pastime for the many. You have to be male, aged 21 or over and be of good character (which means not having any criminal	convictions). You must also believe in a Supreme Being, but Freemasonry is not a religion; men from a variety of faiths belong.